Employees of San Diego Gas & Electric and its parent Sempra Energy are setting an example for San Diego drivers by switching en masse to electric vehicles. The utility announced Thursday that the 500th company employee purchased an EV last month. “Our employees understand that transportation — the daily commute to and from work, school, stores, etc. – makes up the largest source of carbon emissions in our communities, and they want to do their part to help build a more sustainable future for our region by switching to clean air vehicles,“ said SDG&E Chief Operating Officer Caroline Winn, who drives an EV herself. A full 10 percent of SDG&E employees now drive either an EV or plug-in hybrid. Back in 2015, the utility set a goal of 500 employees switching by 2020. That goal was achieved two years early. 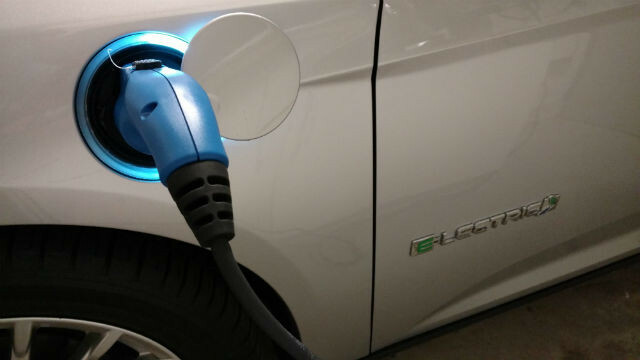 There are now 30,000 EVs in the San Diego region, and 420,000 throughout the state of California. Climate experts say electrification of transportation is key to achieving California’s climate action goals, because the movement of people and goods — now powered largely by gasoline-fueled vehicles — accounts for 41 percent of the greenhouse gas emissions in the state.